Editor's Note: The Oh, Wow... serial has been relegated to the dreaded Sunday time slot. Ratings are low, and management has doubts about the staying power of this tongue-in-cheek program designed to provide a weekly break to the Uncle Doc's Card Closet writer. However, the producers are optimistic about righting this listing ship and were granted a stay of cancellation until the half-season point (i.e., 13 episodes). Should Oh, Wow... be given the axe? Weigh in with a comment! Man, that ad is just awful. 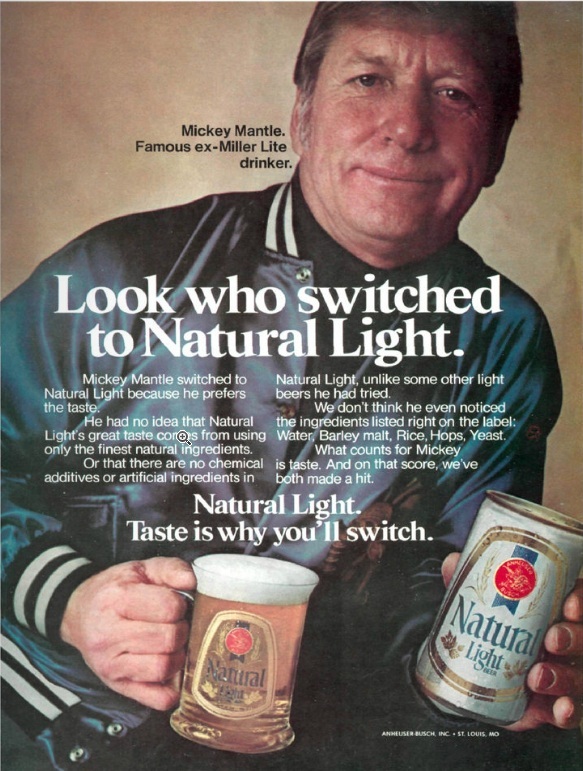 "Natty Light: the beer of the Mick and alcoholics everywhere." Just bad.